PASCO’s ezSample™ water quality test kits simplify chemical testing of water sources. Avoid the mess and difficulty of handling chemicals directly — and get great results even in the field! This kit contains 30 individual Ammonia test vials. Conduct colorimetric tests in the field and avoid the mess and tedium of mixing chemicals. These ezSample Snap Vials contain a pre-formulated reagent to test a variety of water quality parameters. 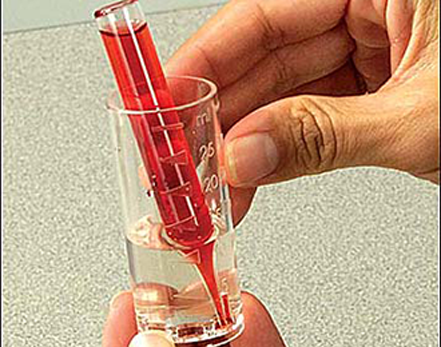 Your water quality tests are easy as 1-2-3. No more guessing at color variation!